This dish is a staple in my home for friends and family, and the first thing I know I'm going to make if there are vegetarians in the mix. It's hearty, versatile and fluffy on the inside ... just like the man I married! Stir the soy sauce, rice wine vinegar, gochugaru and sesame seeds together for the dipping sauce. Set aside. Cut the roots off of the greens onions, then cut into ½ inch pieces. Rough chop the kimchi into small, bite sized pieces. Put the flour, salt and eggs into a bowl. 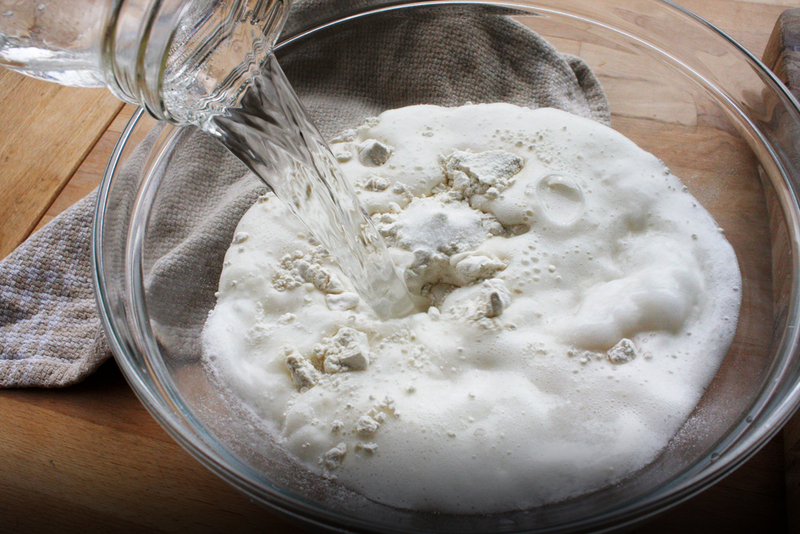 Slowly add the club soda, then slowly whisk until the batter is smooth with no flour clumps. 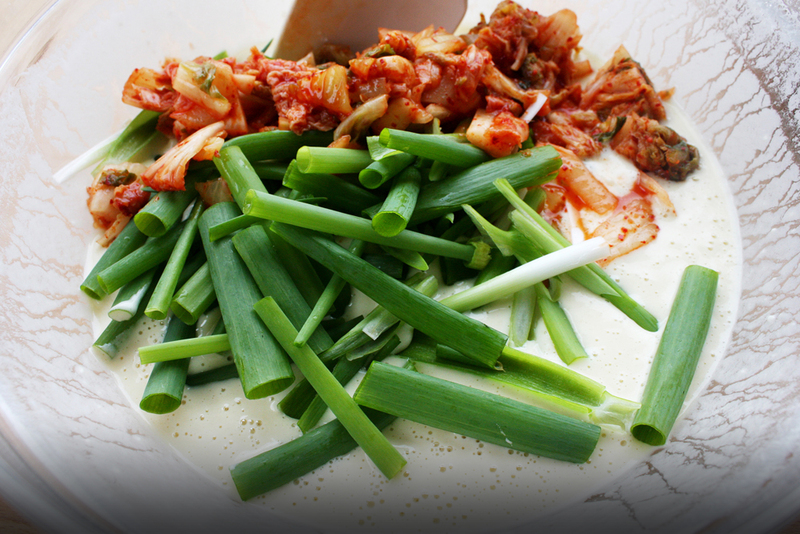 Fold the green onions and kimchi, evenly incorporating into the batter. 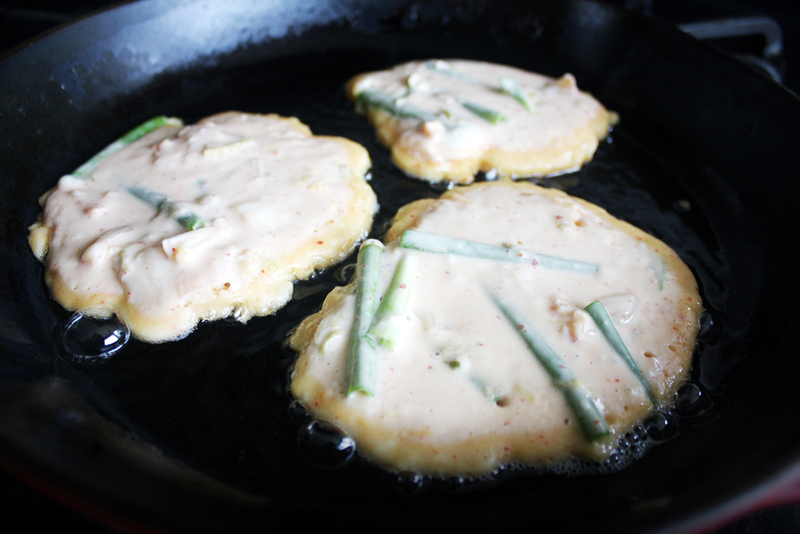 On a medium high pan, add about a tablespoon or more of vegetable oil. When the oil is heated and simmering, pour about a ¼ cup of the mixed batter onto the pan, fitting as many as you can without the pancakes touching. 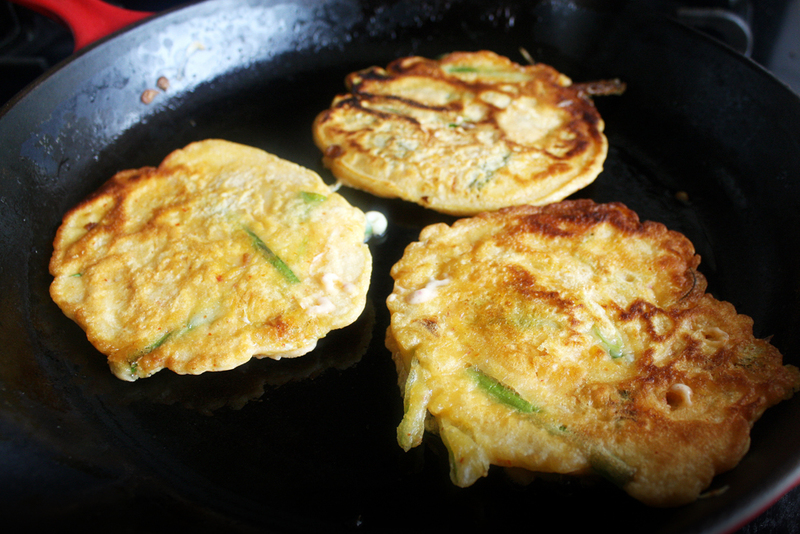 When there are a few bubbles in the middle of the pajeon and the edges are firming up, flip the pancake carefully with a spatula and fork, without splashing hot oil. Cook each side for about 5 minutes, only flipping once. Place the finished pancakes on a cooling rack and repeat until the batter is gone. Blot any unwanted oil and serve hot with the dipping sauce. I'm christening this blog with Cucumber Kimchi because Korean food is important to me. It opened the gateway to exciting flavors, nourishment, and most valuable, community. More important is my Korean Momma. Bless her heart for always making amazing meals, even when she had to feed me as soon as possible so my "hangry" meltdown would subside :) She taught me that the recipe never had to be perfect as long as you cooked from the soul.